What could be better than cruising a beautiful scenic route in a convertible Maserati GranTurismo? Well, doing exactly the same thing but taking along friends to share the experience with. This is where you’ll need the Maserati GranCabrio instead. A beautiful soft-top cabriolet, the GranCabrio is a 2+2 seater housing a monstrous naturally-aspirated 4.7 litre V8 engine producing 433 bhp and 362lb ft of torque through the rear wheels, and gear changes will be done via its 6-speed automatic transmission. 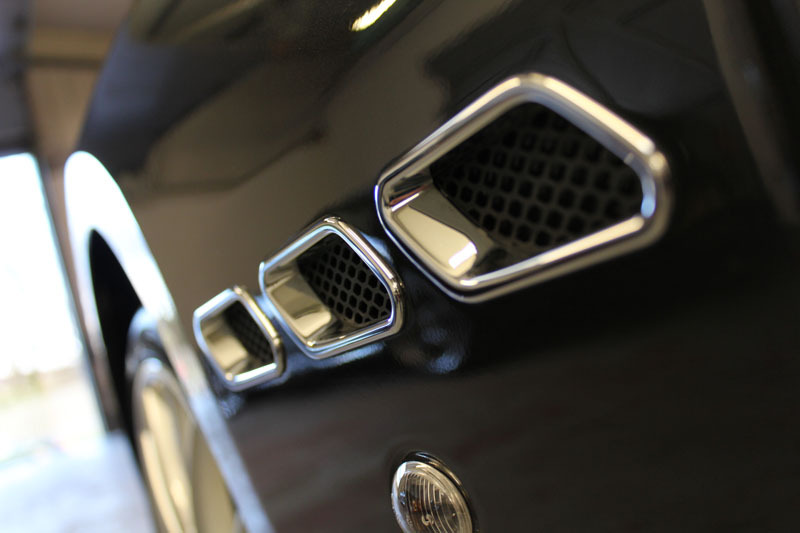 The Italian showmanship of this stunning Maserati goes hand-in-hand with the growls the twin exhausts emit, and in Sport mode, you’ll have further fun as the exhausts open flaps to allow an even throatier overtone. Lovely stuff. As is the Italian way, the interior is as much a work of art as anything, with a curvaceous dash, and stitched leather padding almost every surface. 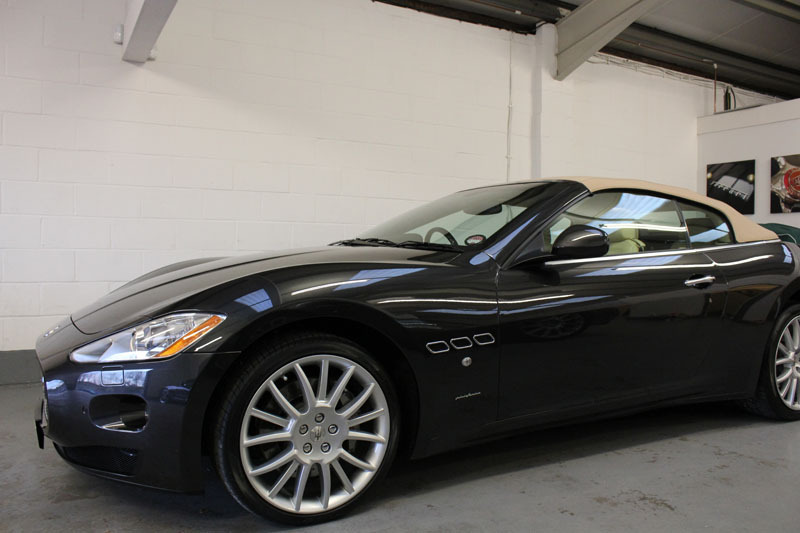 The Maserati GranCabrio’s cabin is exactly how a luxury tourer’s should be, in fact. This particular GranCabrio has in fact graced UF with its presence before, three years ago, and this time it was back for a Gloss Enhancement Treatment, and for all four wheels to be sent off for refurbishing. 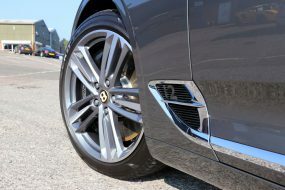 Firstly, the 15-spoke 20-inch alloy wheels were scuffed around the edges, and needed to look like new again, and so they were dispatched to be refurbished, where the first port of call was to remove the tyres from the rims. Next, the wheels are dipped into a chemical solution, and left for several hours so that the old paint and any ingrained grime is removed. When the chemical process is complete, the wheels are then removed from the solution and thoroughly cleansed to remove the chemicals and dirt. Any repairs that need undertaking are then corrected before they are bead-blasted to prepare the surface for their primer. Then they are firstly put through an oven to remove any trapped air in the surface, before being power-coated with primer and oven-baked once again, after which a quality check is completed to ensure the wheels are ready for the next stage. The wheels are then heated to the optimum temperature in order to receive a coat of paint, before a layer of tough lacquer is applied to the inside and face to protect the paint finish against corrosion from road grime, winter salt and brake dust. 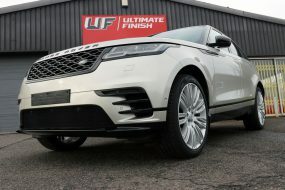 This complete, the wheels are again heated to fully cure the paint, after which they are cooled and the final finish inspected to make sure it is as per the original factory finish. Finally, the tyres are put back on, balanced and returned to the Brands Hatch studio for refitting onto the car. As the Maserati’s wheels had been refurbished, UF were able to move straight to protecting the finish, and for this the extremely durable and tough Gtechniq C5 Alloy Wheel Armour was applied after the all-important panel wipe. The tyre walls were also treated to bring back a lovely dark lustre to the rubber, by using the high-quality Swissvax Pneu. This complete, the GranCabrio’s inner wheel arches and sills were thoroughly cleaned with Bilt-Hamber Surfex HD, a product which quickly but safely remove even heavier grime and grease deposits. 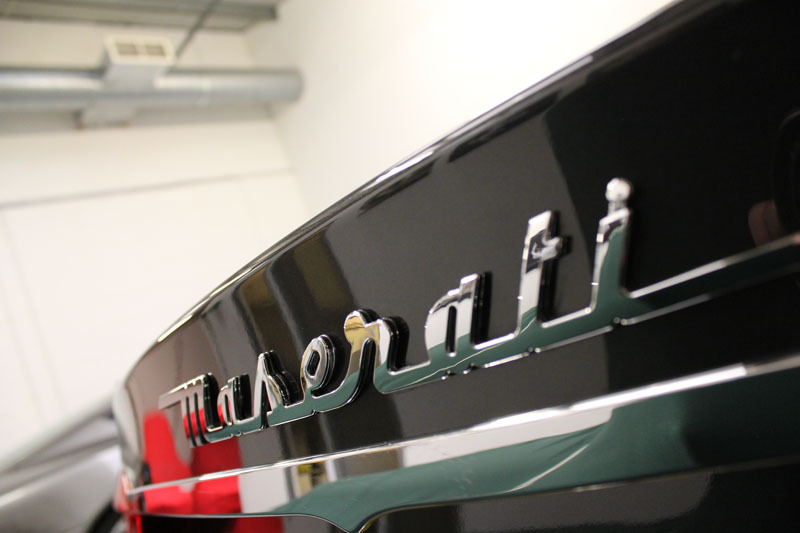 Next, the Maserati’s fabric roof needed to be cleansed to ensure it was free from any stains or marks that occur over time from natural fallout such as bird muck, tree sap and more. For this, UF used Gtechniq Gtechniq W2 Universal Cleaner Concentrate, which can be applied safely to clean a large variety of different surfaces. The convertible roof was then left to dry overnight. 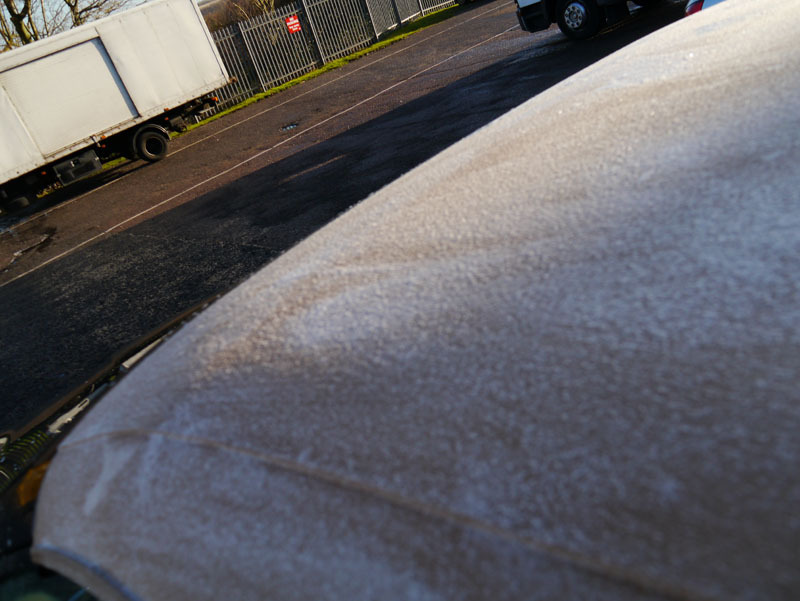 After the roof was dry, the wash stage began, firstly using Ultimate Snow Foam to allow the grime on the bodywork to be softened and broken down, before it was rinsed away with water filtered through the superb Aqua Gleam De-Ionising Water Filter. This filtration system removes minerals in the water which usually cause water-spotting and runs after you have washed a car. Rinsing complete, the next stage of the wash process was to shampoo with Gtechniq G-Wash, which again works to break the bond between the paintwork and grime with high-foaming properties, lubricating the dirt in the process to aid safe removal. The Maserati was then rinsed again using an Aqua Gleam De-Ionising Water Filter, before being dried with a thick and extremely absorbent Dodo Juice Orange Plush Drying Towel. The car thoroughly cleaned and dry, the process to remove all ingrained fallout from the paintwork could be completed. Bilt-Hamber Auto-Clay Original – a particularly good clay bar which contains zero surfactants, such as powdered detergents or soaps – was used, and all contamination removed, the paint surface was ready to be machine polished to remove any fine swirl marks and surface scratches. Using the trusted FLEX PE14 rotary machine polisher and a SCHOLL Concepts Black Waffle Finishing Pad, Gtechniq P1 was put into action. 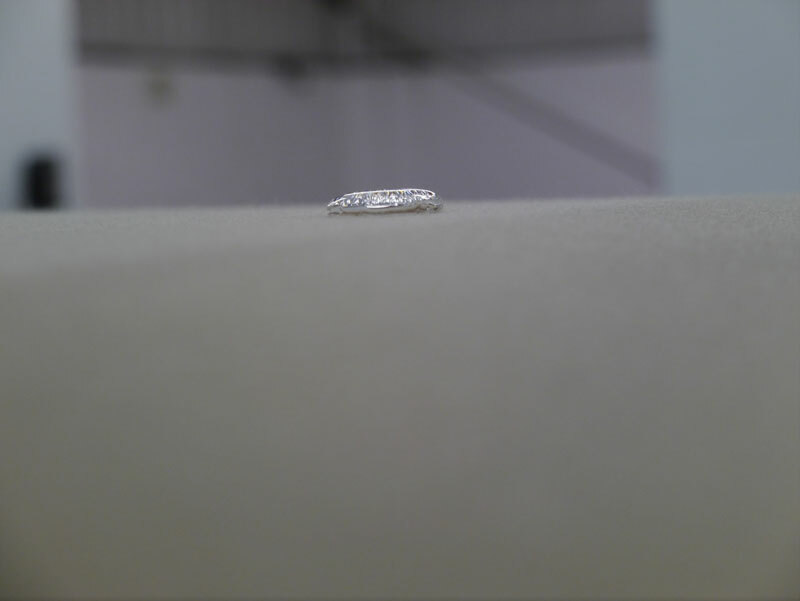 This is an advanced nano-composite polish which requires less effort than other compounding products, and it is also safer too, as it does not heat up the surface as much as a traditional polish would, and doesn’t contain fillers or lubricants, which can make the surface look good, but imperfections will once again appear after only a couple of washes. Instead, P1 makes sure the results you initially see are the reflected in the actual final finish. 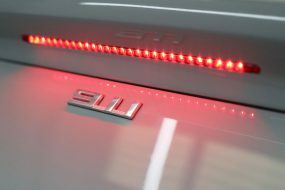 With the paintwork corrected and free from swirls and scratches, it needed to be protected with a product designed for longevity. Gtechniq C1 Crystal Lacquer is just that as it leaves behind a tough, durable layer that will not only keep the car more dirt-free than usual, but also has exceptionally high scratch-resistant qualities. 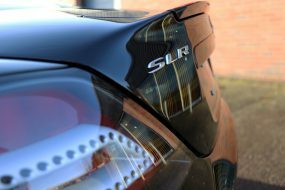 The paintwork was now extremely well protected, but the customer requested that Swissvax Crystal Rock wax also be used, as a further shield against the elements. Crystal Rock is a very durable wax, with 76% by wax volume of pure Brazilian ivory carnauba wax – one of the highest available in any way. This makes for superb durability, and of course adds a beautiful finish paintwork. The paintwork protection stages were now complete, and the fabric roof now needed to be treated. Gtechniq I1 Smart Fabric Coat was used for this, as it can last up to five times longer than a ‘normal’ water repellent coatings. I1 coats each fibre, allowing the material to breathe, which also giving repellence to not only water, but to soft drinks, coffee and oil-based liquids. After cleaning the glass, the outer side had Gtechniq G1 ClearVision Smart Glass applied. The chemically bonds with the surface and can last up to an impressive 2 years. This beads and sheets away water so efficiently that wiper blades are almost not needed. The higher the speed you drive, the better the product works. 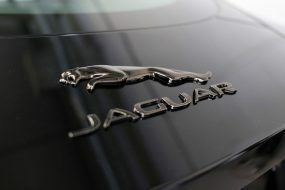 This is absolutely a product worth applying to any car’s glass. The finish of a car be easily spoiled simply by a piece of ugly faded plastic trim. 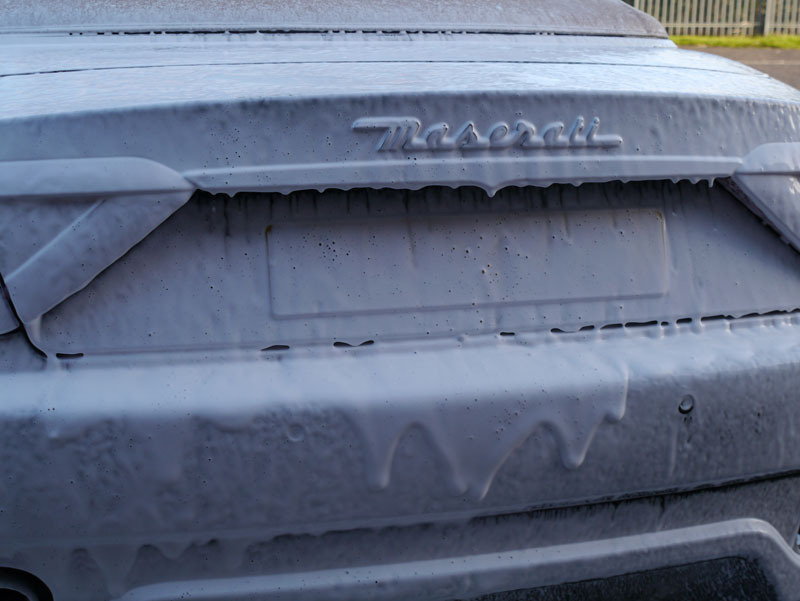 UF used Gtechniq C4 Permanent Trim Restorer on the Maserati’s exterior plastics, to make sure that firstly they were returned to as-new condition, and secondly this product imparts a defence barrier to reduce the effects of the elements for up to two years. 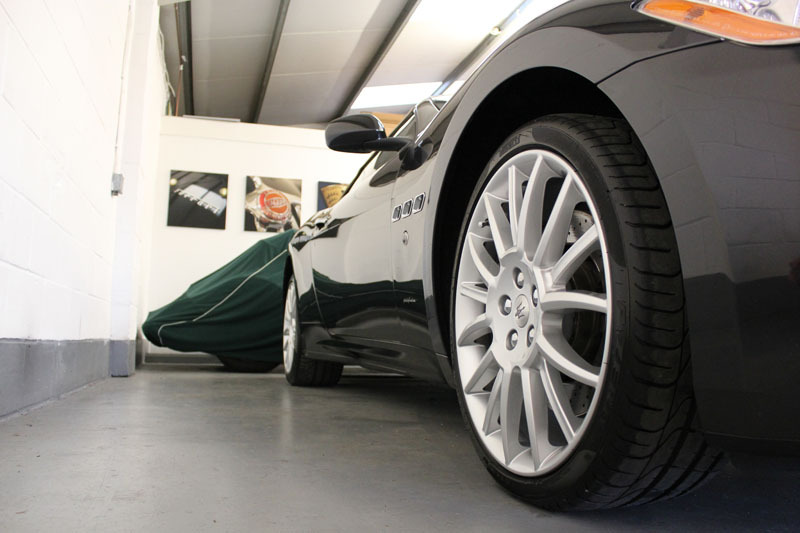 Now that the Gloss Enhancement Treatment was completed, the Maserati GranCabrio not only looked utterly beguiling and factory-fresh once again, but the owner could be safe in knowledge that their Italian beauty was extremely well protected against whatever the weather or road conditions could throw at it. Bellissima!